I would like to tell you that I finally designed and decorated the entire Christmas Nativity in cookies...but I think another year is going to come and go without that happening. I was inspired to make the Three Wise Men though and honestly I think I if you really wanted you could probably make the entire nativity with just this cutter. 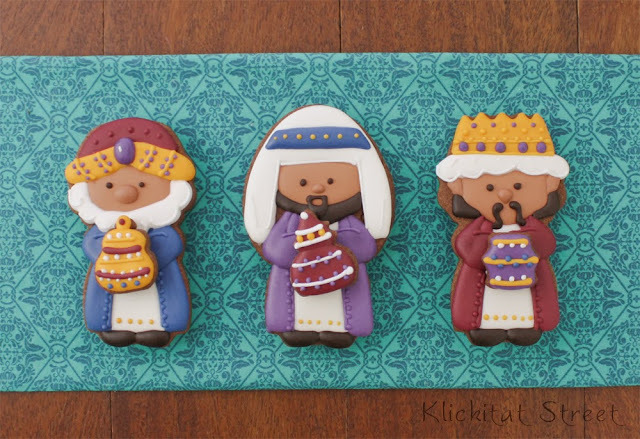 To cut the Wisemen cookies I used a cutter of my own design. 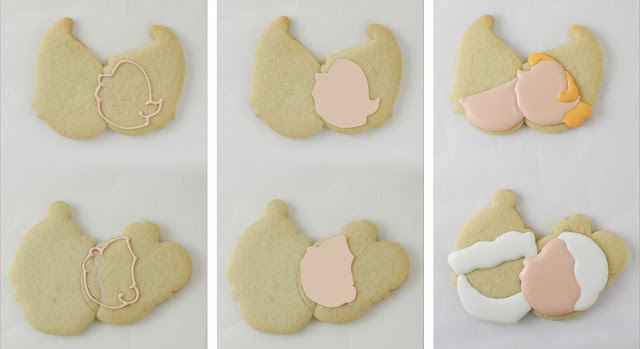 This cookie cutter is actually a "girl" gnome but I designed the cutter with a large hat so it could be cut down into a variety of different characters. Plus the long dress makes it work for cloaks and robes too. I cut the hat down for the different crowns and also pieced an egg shape to the bottom half of the gnome cutter to make the king with a head scarf. For more on cutting different hats with this cutter click here. This cutter and my others are available to purchase in my Etsy store. 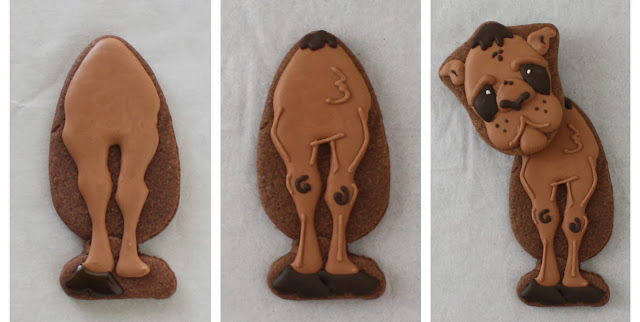 It's actually pretty easy to decorate cookies like this. Just take every shape one at a time and let each section set up a little before adding the next shape. 1. Start by filling the face in flesh colored royal icing. I use the face as an anchor for all the other elements so it's important it's the right shape and in the right place. If you need to you can use a simple paper template to get the faces right. 3. Let those dry a little while and finish the hats and cloaks. At this point you should let the cookies dry for a few hours because you'll be adding sections on top of these. 4. When the body has dried for several hours add the arms. 5. Let the arms dry a bit and then add the beards or hair. 6. Finally finish everything off with the little details. 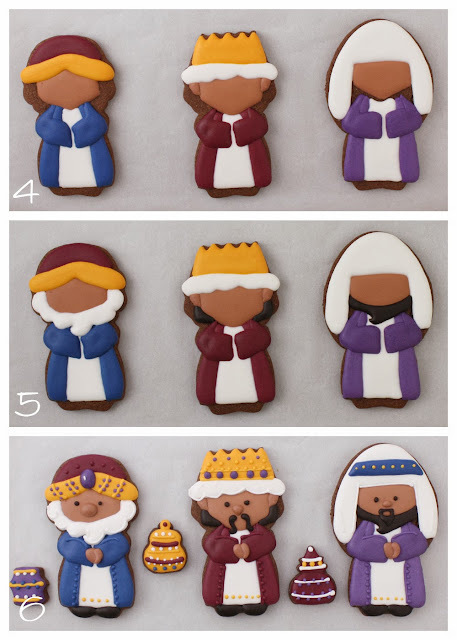 Instead of adding the gifts directly to the cookies, which would have made them more complicated, I made little minis and decorated them as I went. 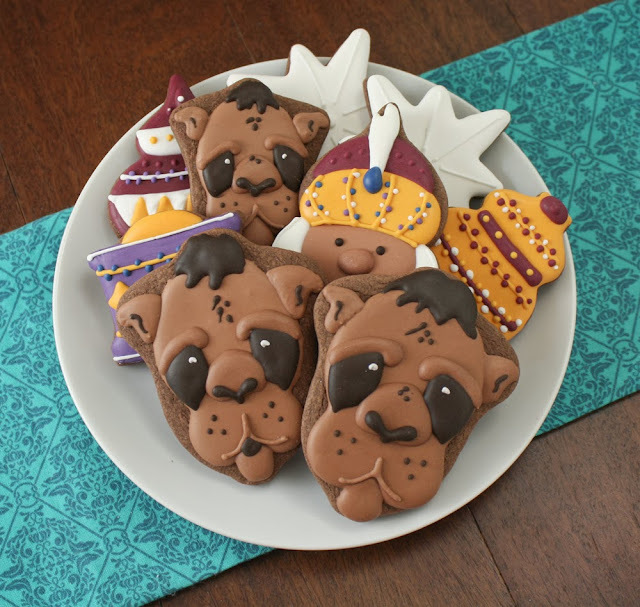 The little gifts can be "glued" to the finished cookies with royal icing giving them a little extra dimension. 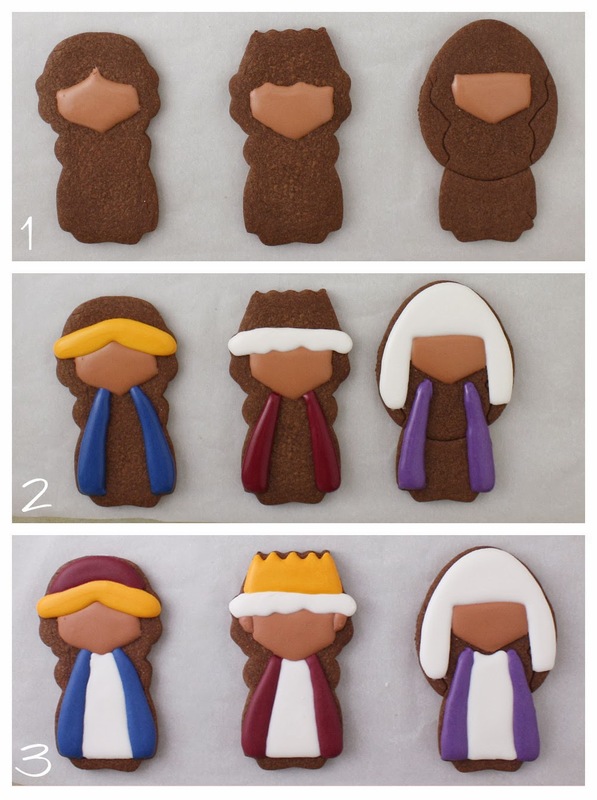 If you like you can also make just the faces of the Wise Men. 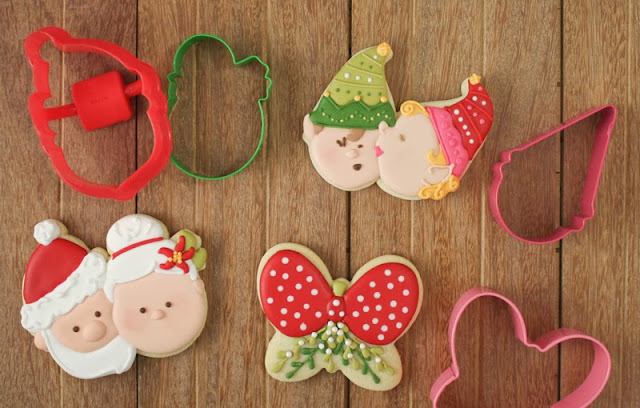 I found these ornament cookie cutters at Wal-mart this year and they are my current favorite cutters. I can see so many things in them. 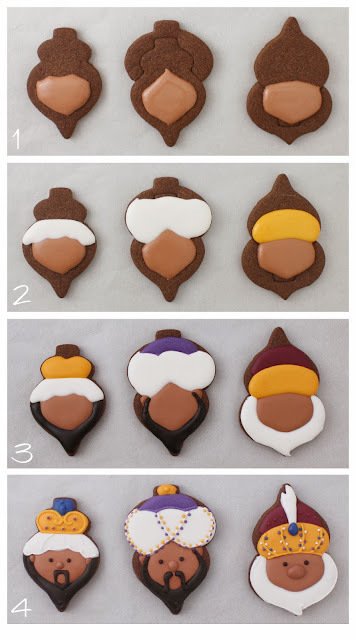 The curves and points work really well as beards and crowns especially when you piece the shapes together. 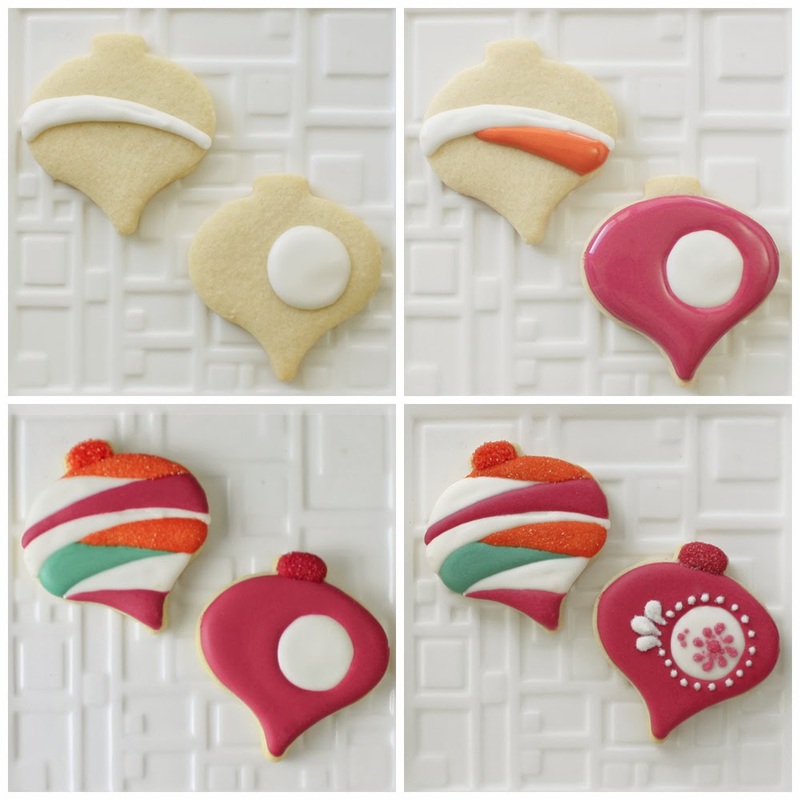 To see the ornament cookies I made with these cutters click here. 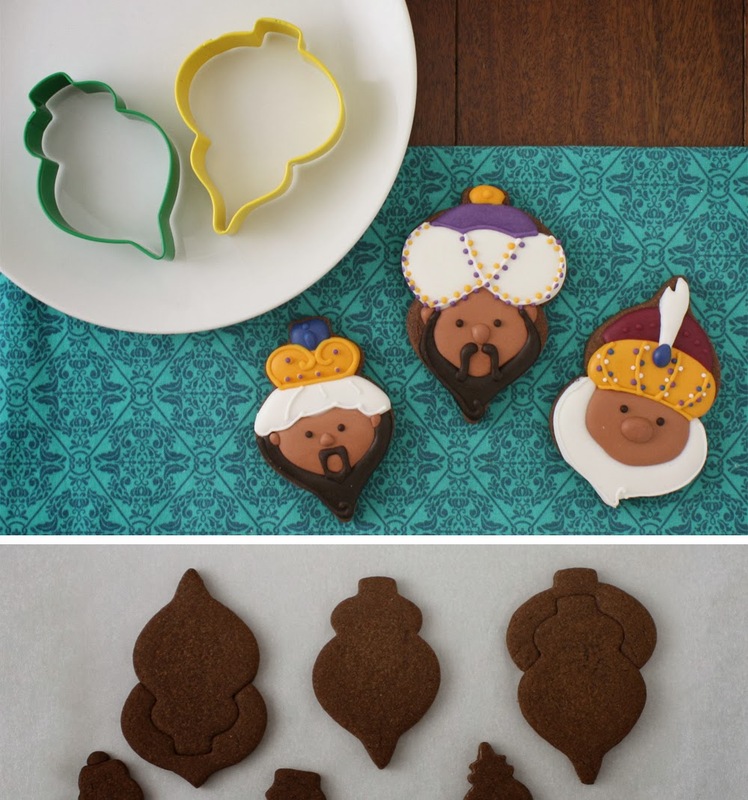 Start by adding the faces and let them dry for a few minutes. Add the bottom of the hat and let dry again. Finish the hats and add the beards. Let the cookies dry for a few hours before topping them off with piping details. I had a lot of fun with this set and there is more to come. 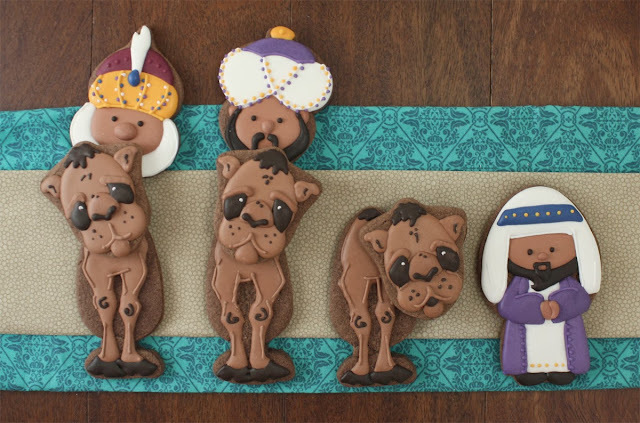 Wise Men need camels of course so check out this post for silly camel cookies. In the meantime be sure to enjoy your weekend! 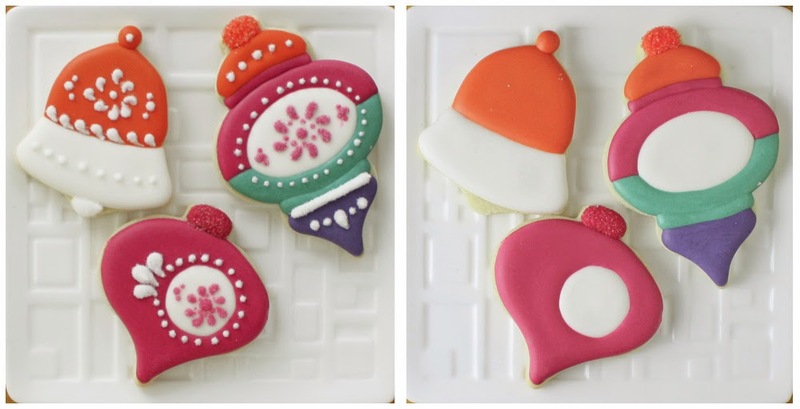 A few weeks ago Georganne over at LilaLoa posted a challenge to use this amazing color palette in a set of cookies. 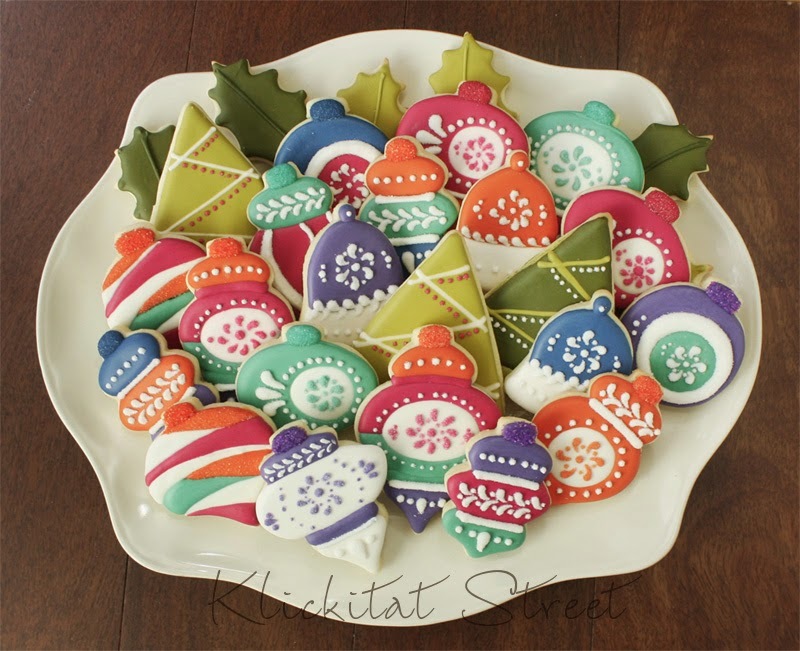 I thought the colors had a great retro feel to them and I love the style of retro Christmas Ornaments. 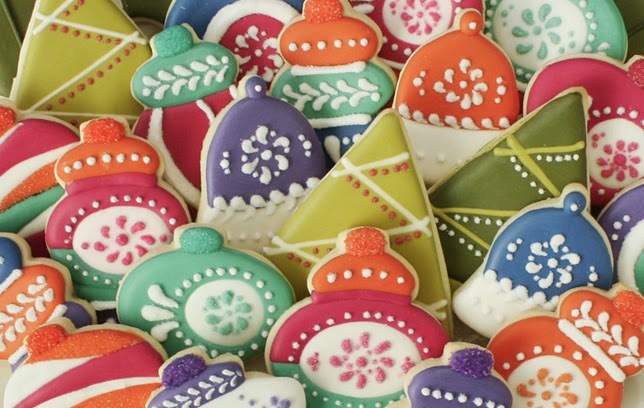 Even though these colors are far from traditional they still work perfectly for Christmas cookies because as long as you use expected Christmas shapes you can use any color palette you like! 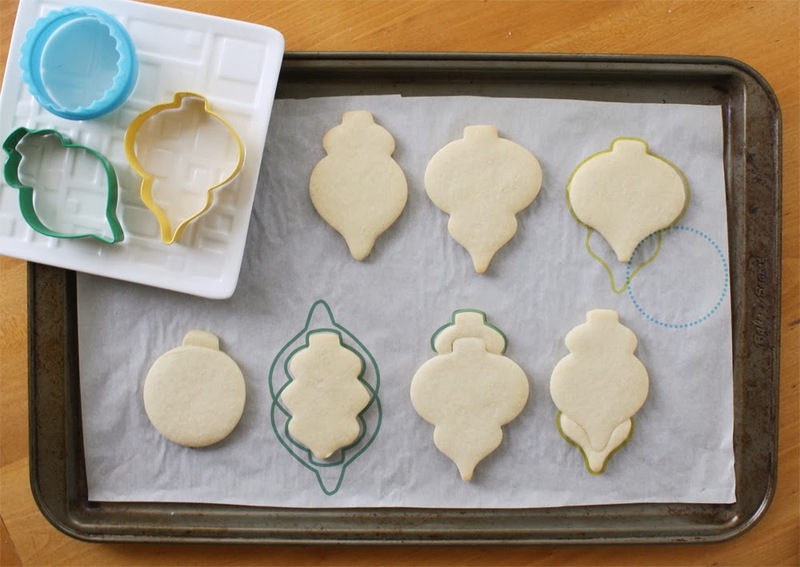 To cut the ornament cookies I used two cutters from Wal-mart this year. 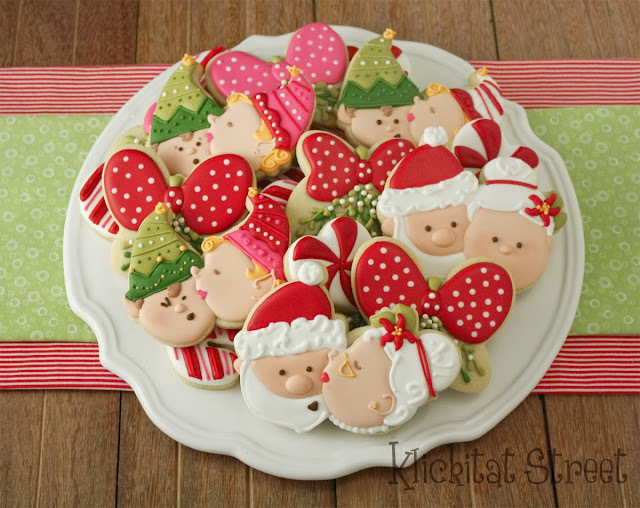 I love these little ornament cutters and I can see so many things in them. With just these basic shapes you can make a lot more ornaments just be piecing and trimming the cutters. For the traditional teardrop shape I used a circle to trim the yellow ornament cutter. 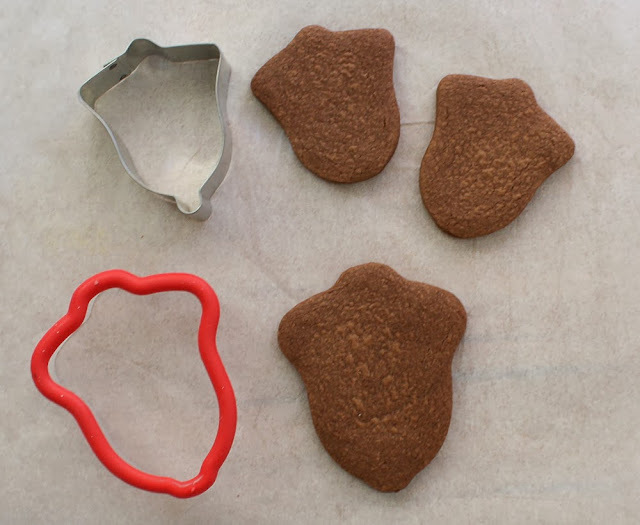 Flip the cutters around and cut again to make something totally different or add a little bit of one to the other for more dimension. For more info on combing cookie cutters click here. The decorating of these cookies is actually pretty simple. I worked in sections letting one color dry for a few minutes before I added the one next to it. Once the base was dry I topped them off with lots of dots and swirls and a sprinkle of sugar for sparkle. 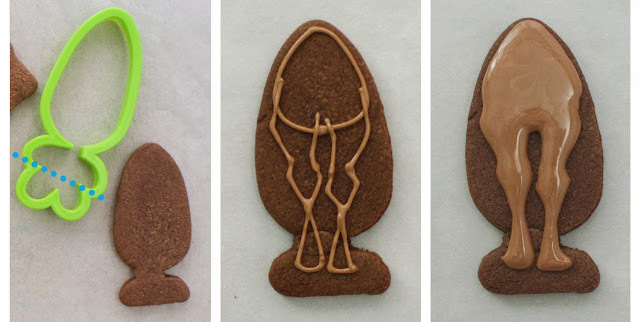 No matter how complicated a cookie might look the techniques are the same. 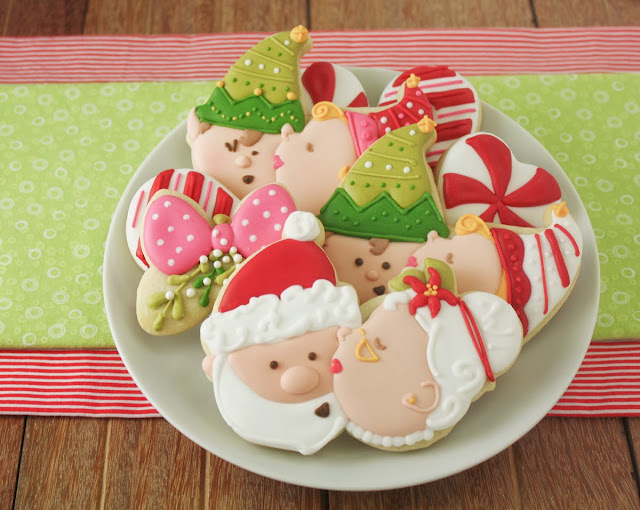 You can see here the details really make the cookies because before adding the dots the cookies are pretty dull. Don't stress over making things "perfect". If you look closely you'll see my dots aren't identical and things aren't perfectly straight and even. It doesn't matter because they still look good and they are just cookies after all! The Christmas Season is in full swing and I hope yours is going beautifully!